It is essential that we have an UP TO DATE emergency file for your child. If you change your address or telephone number, it is crucial to your child’s well being that you notify us immediately. In the event that you cannot be contacted, it is essential that we have at least one LOCAL emergency contact other than parents/guardians. 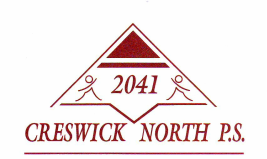 Parents are asked to provide the school with a LOCAL (Creswick) emergency contact number so the school is able to contact someone in case of an accident or if your child is unwell during school. In case of serious accidents we notify parents by telephone and if we are unable to make contact we will notify your emergency contact before seeking medical assistance. If you are unavailable, appropriate action will be taken in your absence, including calling an ambulance when necessary. Parents are asked to advise us immediately of any changes in their own or contacts addresses or telephone numbers. If your child is unwell please keep him or her home. If your child becomes ill at school, we will make every effort to contact you or your emergency contact, to take the child home. Accident Insurance - is included as part of the Requisites Levy and provides 24 hour accident insurance cover. (Prescription or Non– Prescription) Includes Paracetamol and Hay fever medication Where children bring medication to be administered at school, it must be accompanied with written instructions from parents (Form Enclosed or from the office). Children are to hand medication to their teacher, it should not be kept in their school bag. Under no circumstances will staff administer medication without written authorisation from the child’s parents/guardians. stings, nuts, food etc. – please inform the school immediately and have appropriate form filled out by your Doctor for specific treatment necessary. Asthmatics are required to provide the school with a current asthma management plan. The plan must be completed by your doctor and updated whenever medication or condition changes. Please provide a named inhaler to be stored at school in the first aid cabinet. Haemophilus Influenzae Type B before coming to school. A copy of their current Immunisation Status Certificate must be presented to the school for our records. In the event of an outbreak of one of the diseases listed above unimmunised children are excluded from school. The following is a short list of the more common infectious diseases which require students to be excluded from school. A full list may be obtained from the school if necessary. Students must be kept home as required. Until fully recovered and at least four days from the onset of the rash. For at least 7 days from the appearance of the rash or until a medical certificate of recovery is produced. (school sores) Until sores have fully healed. The child may be allowed to return provided that appropriate treatment is being applied and that sores on exposed surfaces such as scalp, face, hands and legs are properly covered with an occlusive dressing. For four weeks or until a medical certificate of recovery is produced. Until fully recovered – some remaining scabs are not an indication for continued exclusion. Until appropriate treatment has commenced, supported when requested by a medical certificate.